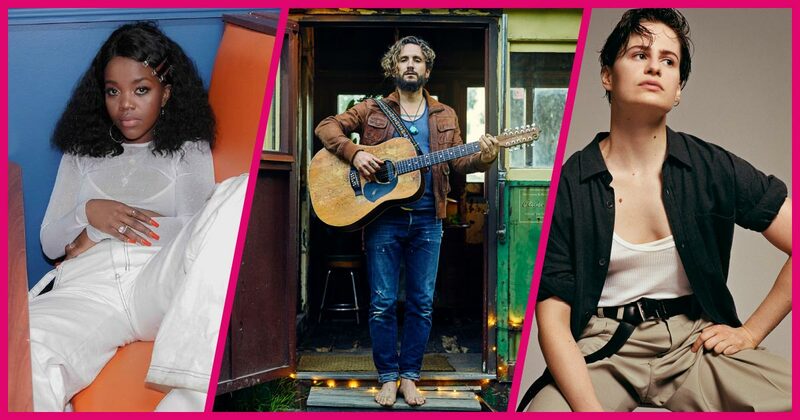 2018 has been a massive year for our first round of WOMADelaide 2019 artists, a defining year for many with total reimaginings of classic albums, breakthrough releases and HOMEcomings to name a few. Before we turn our attention to the new year, we wanted to take a look back on the songs that defined our 2018. Paris, 1983: Angelique Kidjo listens to Talking Heads' 1980s Remain in Light album. People told her it was rock & roll but to Anglelique, "it felt African somehow". Heavily inspired by the music of West Africa and in particular Nigerian Afrobeat pioneer Fela Kuti, the influential artist was not wrong. Fast forward to 2018 and Angelique has turned that iconic album into one of her own, with Once in a Lifetime a standout single. Not many artists approach a single release the way BALOJI does. Hitting play on Soleil De Volt, you'll think you've accidentally stumbled upon a late night performance from the formidable artist in motion. It is in fact an extract from his 2018 short film Kaniama Show, a small snippet of the Belgian/Congolese creative brilliance. To say Christine and the Queens has had a monumental rise to the top since her 2016, UK best-selling debut album is an understatement. Introducing us to her alter-ego, Chris, she has once again grasped the world's attention, including an appearance on Graham Norton performing 5 Dollars. You can see Chris on the opening night of WOMADelaide 2019. Five years since their last release, John Butler Trio are finally Home and that means a return to WOMADelaide. Long term listeners of the Trio will notice a distinct difference in the meaning, sound and overall genre of John Butler's writing. Love and family are the prominent themes, straying away from political activism in his lyricism to focus on more personal issues. Just Call, an earnest love song is one of the most poignant on the album, taking Butler 13 years to finally finish. It's hard to believe that Tkay Maidza is still just 21 years old. The hip-hop star is fresh off winning MTV's Best Australian Act of the year, pretty impressive considering she's only just finding her true voice. If this is Tkay hitting maturity now then we can't wait to see what the future holds, with songs like White Rose showcasing her new level of sass and swagger she'll be bringing to WOMADelaide 2019. Check out the full lineup to discover more defining music from around the world!